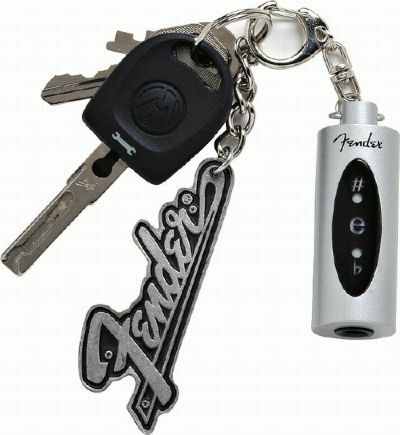 Now, on top of all these options, you can pocket Fender’s new US$19.95 keychain guitar tuner, too. (You’ll be able to start up your El Camino and tune your guitar with a keychain. Plug in a guitar cable (via minijack, it looks like), and tune away. Compared to some of the other options, this one is pretty bare-bones: it only tunes E. (Fender helpfully suggests fretting E on your other strings, if you hadn’t already figured that out.) But as a stocking stuffer, this can’t be beat. Hey, by the way — Distortion That Rocks is a really cool guitar blog, completely free of my “We Are the Computers” / pro-keyboard bias.